Great mexican food has been one of the toughest foods to find in Taipei- texmex, baja mex/fresh mex or Taiwan-ified mex-- most of the time we sigh and say "it's not bad, for Taiwan." But thankfully, there's been a few new places in recent years that may change that! For the most updated info, please click on the label for all the related posts, as I don't update this page as often as I'd like. You can also search my blog or click on the restaurant name for the review. MRT: Gongguan or Taipower Bldg. I am a Hispanic living near Taipei for about 10 months. I just found your blog, and it's really great. I was wondering, though, are the owners of La Casita Taiwanese or Mexican or something else? Thanks for visiting my blog and for the comment. La Casita is owned by a Taiwanese couple.. Sadly, I don't think any of the Mexican restaurants here are owned by Hispanics. That's why it's so hard to find good Mexican food here. Let me know if you try it! I finally got around to visiting La Casita based on your recommendation. I can't believe I'd never heard of this place until I saw it on your blog. I actually think it's decent and much better than Tequila Sunrise, Amigo's, and any other Mexican food I've tried in Taiwan. Thanks for the heads up. La Casita has a new regular customer...me. billy: cool, glad you had a good experience. I would pick them over the others as well, food-wise. I tried Tequilla Sunrise and it was okay. I'm from Florida and I've had some good Mexican food. At TS the food isn't bad but it's pricey. It made me miss the good Mexican food from home though! benny: yeah TS is more of a drinks with friends party atmosphere place. Last time I went by the Amigos on Lin Sin it was closed and evrything inside was gone. Is there another Amigos in Taipei? This Texan misses crispy chicken tacos. I'm from Texas and have also been in search for good Mexican Food. Sadly all the places listed in your blog are Asia-fied (except for Chili's of course). However, we tried Good Day this evening and I was impressed with my chicken burrito, chips and salsa, my husband was impressed with the classic Cuban and fries. We will definitely go back and keep trying more of their Mexican dishes, sandwiches, and pizza. Hi! I found your blog when looking for the address from Cosi O Cosi, then ventured into the Mexican section. I love Mexican food and miss it like crazy from the states. I thought you might like to check out a new Mexican place called El Gallo in Tien Mu. It's in section 7 of ZhongShan N. Rd. on the right after California Fitness heading north. A bit pricey and they are still working out the kinks of the service (they just opened last month), but it has fantastic (and STRONG!) 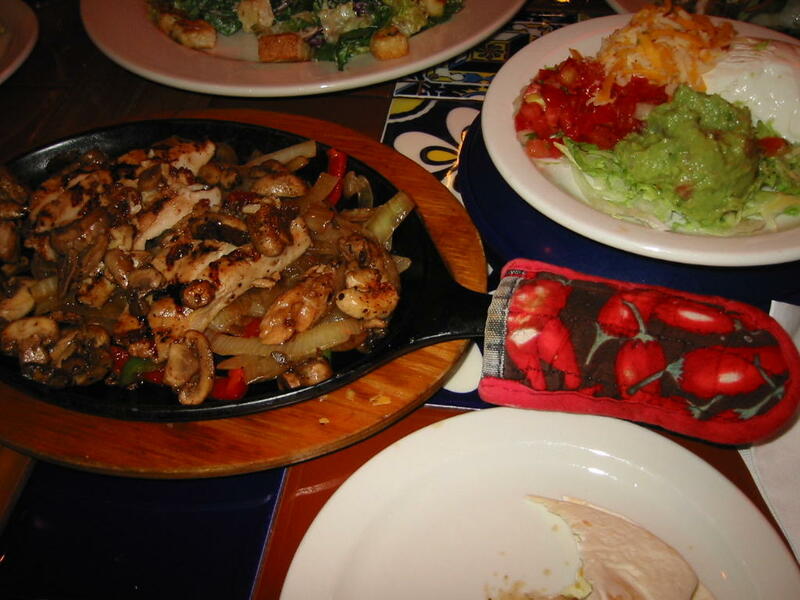 margaritas, elegant food with great flavor and the ambiance is excellent. gunadic: yes.. I've been hearing about Eddy's for a long time. when I have time, I will make the trip out to Danshui! Fran: hmm, good to hear.. if you were impressed, I will have to check it out. Kristen: YES! I heard about them a few weeks ago and have been itching to go. I will try and make it this week and share the news! I Mexican though... VIVA MEXICO!!! Me gusta la cultura, la comida - son buenas! y tiene gente muy amable tambien! El Gallo in Tien Mu (see Kristen's post) is owned and operated by Mexicans, and has excellent food. The service is getting better and better, and the Margaritas are by far the best in Taipei. Hi, just found your blog, its great. I've actually been to Bongo's and ordered the quesadillas. They were pretty good, but sadly lacked a sufficient amount of cheese. For my birthday tomorrow, my friends are taking me out to a Mexican resturant near National Taiwan University, so I'm pretty excited about that.. hopefully its good! Thanks for all your wonderful recommendations on what to eat around Taipei! I love the blog- keep it up, I'm returning for a 17day visit to Taipei (in June)-but haven't been there since leaving in 1993 (after a 3 year stay). I think Moon Jade had opened Tequila Sunrise before I left- but since I am not just from Texas- but the Tip-O-Texas, and have eaten all over Mexico, the Best Mexican food is in Mexico! -although we get close along the border :-) -I'll be eating the REAL Chinese food, not the nonsense passed off over here. Best Mexican in Taipei is Eddy's Cantina in Danshui. Why isn't that on your list? It's famous among the foreigners, I thought. Christina: thanks!!! did you get to check out any of the places? mexican food is definitely something I'm always searching for here! anonymous: yup! thanks.. i put up the review finally for El Gallo! StephanieAnn: thanks so much for commenting! let me know if you find anything good! anonymous: thanks! Yes, if you're visiting, you should definitely stick to chinese food.. but for those of us that have been here for a looooong time, we need to find mexican food! 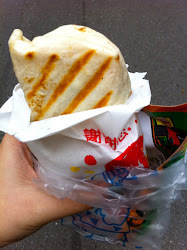 I have had food @ LA CASITA in 2006just before I left Taipei and it was tasty because everything had lots of cheese in it. I am from India and I am vegetarian. I went with my colleagues to this place and they ordered vege food for me. I am back in Taipei and want to try it once more with my family. I would like to have some Vegetable Burritos. please suggest the best place. Hhmm...I just wonder is the taste authentic at all? How spicy is their food? la casita is not, but pretty tasty. it does the job, sort of, of quenching that hunger for good mexican food. Wait for real mexican food soon!! We will make the Grand'mas recipes and use the original tortilla. Mexican girl & Taiwanese hands will work for you...just be patient! Hi, i will be going to Taipei soon and I was wondering if you could send me a top 10 of the famous or good restaurants ranging from entre to desert in Taipei.it can range from cheap to expensive :D my email is myfishwalks@gmail.com thanks heaps!! There's also a Mexican restaurant, 仙人掌, in Hsin-Tien you can try, not too authentic, but decent in a pinch.